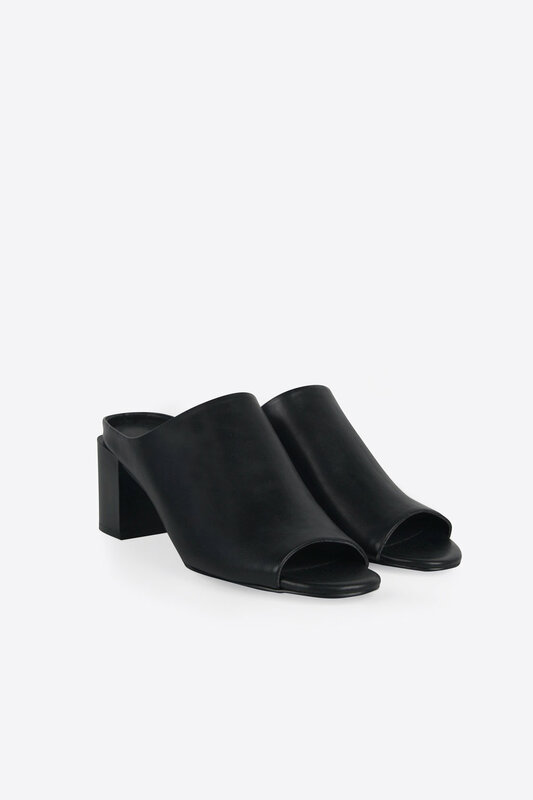 These open-toed mules are designed simply beautifully. 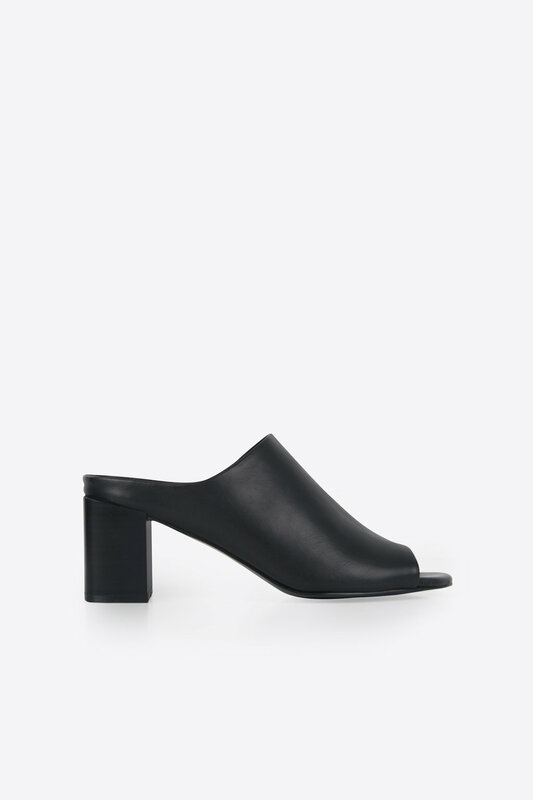 With a contemporary block heel, this stylish pair of shoes are easy to slip into this season. Try pairing with denim pants with a distressed hem and a classic tee for a casual look with edge. Also available in Light Gray. If you are between sizes, our stylist recommends to size up.